What is the greatest blessing and wealth? The first verse of Guruvashtakam (Guru Ashtakam) by Jagadguru Sri Adi Shankaracharya (the greatest preceptor of Sanathana Dharma aka Hindu religion) explains what is more important than great beauty, health, a beautiful wife, widespread fame and mountain like riches!! 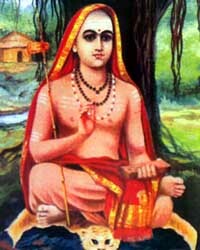 A beautiful and a healthy body, a beautiful wife, splendid fame, riches accumulated like a mountain (specifically like the great Meru mountain) etc; even when all these are available, if the mind does not worship and surrender to the lotus feet of a spiritual Guru there is no use of aforementioned blessings upon the person. Thus it has been established by the great saint Sri Adi Shankaracharya that Bhakti towards Guru is the greatest blessing amongst everything else.